Do you suspect a problem in your microphone or in your speakers? You don’t hear people on Skype correctly, or they don’t hear you? You can make a Skype test call and find out once and for all where the problem is – in you, or in the person you’re calling. Plug-in and turn on your speakers/headphones and microphone. Open Skype and sign-in with your Skype user and password. 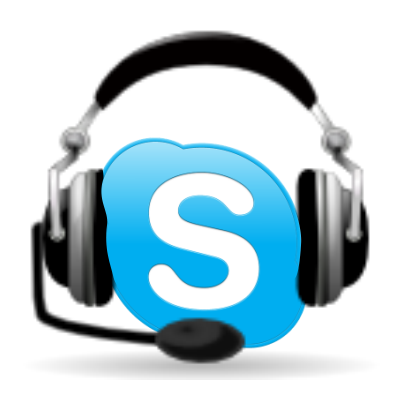 Find in your contact list the contact with the name Echo / Sound Test Service and Skype name echo123. If this user is not in your contact list, find him and add him. Keep in mind that many people have similar names or Skype names, but only one has the exact Skype name (not name) echo123. This is the correct one! You will hear an automated message with instructions in english and then a beep. After the beep you must speak something to your microphone. Your voice is recorded. You will now hear a second beep. This indicates that the recording is done. Now you will hear what you previously said. You will hear a beep (third one so far). This indicates that the recorded message that was being played to you is now over. Now you will hear another automated message that explains to you that you should have heard the message you recorded earlier and if you did not, you have problems with the microphone. If you do not hear anything throughout the whole call, even the automated messages, you probably have a problem with the speakers/headphones or their settings. Start from step 2 since you already know that it does not receive sound. After you check the Windows side of things, you can also sign in Skype and go to Tools -> Options -> Audio Settings. There where it says Microphone you must either put the check box to automatically adjust it or slide all the way to the right. Also try another microphone device from the drop down menu. I can’t hear the voice after beep sound on skype. Plz hlp me. Which beep? In the test call? If you can hear the lady talking in the call, all is ok with your sound devices. If you can record your voice and here it, all is ok with you microphone. Did you see the articles in the Skype Problems category in the site menu at the top of the page? Hi. Could you explain with more details? I did not really understand the problem.